This morning’s New York Times article points out that there is set of articles on Wikipedia that cannot be edited by most people. 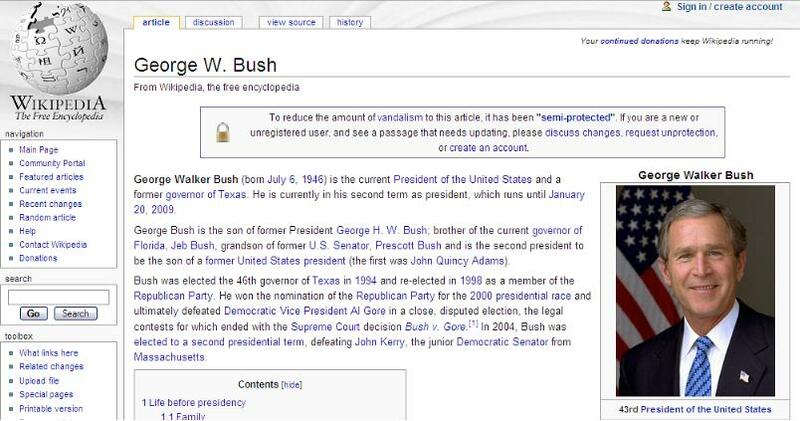 Wikipedia’s policy says that people can request to have pages semi-protected so that new and unregistered users cannot change the page’s information. There are some pages that are permanently semi-protected, but most are temporarily categorized that way in response to vandalism. Here is a list of pages that are currently registered as semi-protected.